Weathertight Roofing, Inc is a full service roofing company that provides and installs many different roofing systems to include: Metal roofs, shingle roofs and flat roofs both in residential and commercial applications. We also provide an extensive line of design-build services which save our clients time as well as money. This makes us one of the most elaborate service providers in the area and makes things easier on our customers, reducing the need for them to shop around. 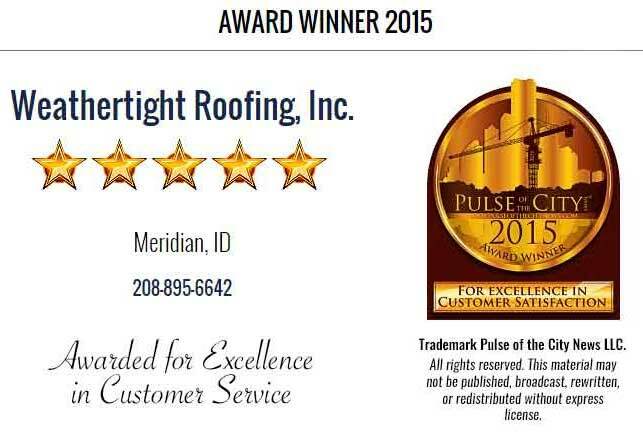 With an affordable price range, Weathertight Roofing, Inc is the most trusted Boise roofing company in the Treasure Valley area. We strive to keep our customers happy and are willing to help you with all of your roofing needs. Our extensive portfolio of satisfied clients and Five-Star Reviews is proof of our many jobs well done. Give us a call for a completely free roofing estimate on any of your roofing needs. Step 1: If this an insurance claim, this is where Weathertight Roofing can get involved with your insurance company to make the insurance process very simple. We will meet with your agent to go over the project and work directly with them – keeping you informed every step of the way. Step 2: Customer selects the manufacturer, type and color of roofing product. Step 3: Weathertight Roofing provides a proposal to the customer with the scope of work. Step 4: Upon approval, Weathertight Roofing files all applicable paperwork pertaining to permits, inspections and building codes to begin the project. Step 5: Weathertight Roofing supplies and delivers the materials and dumpster. Step 6: Work begins and continues until completion weather permitting. Step 7: Upon completion, yard and surrounding area is thoroughly cleaned with a magnet and all debris is cleared and hauled away. Step 8: Customer is provided with final inspection report and before and after photos. For over the last 150 years, asphalt shingles have been the most widely used and most effective type of roofing. Asphalt shingles are just one of the many roofing services we provide. Four out of five homes in the U.S. today have asphalt shingles installed on their roofs. One of the main reasons for this is the wide variety of options that are given to homeowners and builders alike. Asphalt shingles are one of the most affordable options to homeowners and provide great value for the money. Just as homeowners and business owners are looking to protect their investment, Weathertight Roofing is looking at doing the same thing by providing professional installation with an unparalleled warranty – ensuring that your roof is being installed with the highest level of professionalism available. Asphalt shingles are best used in steep slope applications greater than a 3/12 pitch. They provide a fantastic color enhancement to many homes and commercial buildings as the color choices are perfect for any color schematic. When used with the proper roofing system, it is nearly impossible to beat a professionally installed asphalt roof. The popularity of shingles is due to their low cost, ease of installation, light weight – as compared to tile or clay and low maintenance requirements. There are many types of warranties available based on the shingle manufacturer and installer. Simply contact us and ask us anything related to asphalt shingles – whether for your residential roofing or commercial roofing needs. Asphalt Shingles Boise. 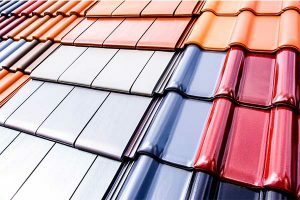 From ten year warranties to limited lifetime warranties on the product, the options vary with each manufacturer and installer based upon the type of shingle installed, the certification of the installer and the application method used to install the shingles. First, if the shingles are not installed correctly, the manufacturer will not likely warrant the product. Secondly, the manufacturer may cover the material but they will not cover the labor to replace the roofing shingles. This goes back to the installer. There are a lot of “roofers” that operate out of the back of their trucks and when something goes bad with one of their roofs – and it generally happens – they are nowhere to be found. Make sure that the roofer that you choose is licensed, bonded and insured and ask to see the certificates for each and make sure they are current. If something happens while they are on your roof and they are not insured it falls back to you and your insurance company. Weathertight Roofing provides a five year installation warranty on all of our roofs! There are many options when it comes to asphalt shingles. Choose the right manufacturer, choose the right color and choose Weathertight Roofing as the right professional installer for your roofing needs. What are the advantages of Cool Roofing? There is a lot of data seeing cool roofing as a naturally inviting decision. Cool roofs are a vitality productive decision that can all the while lessen the effect of the “Warmth Island Effect,” which alludes to a metropolitan territory that is fundamentally hotter than its country environment. It can be contended that the most obvious, recognizing and essential part of a house is the rooftop. The rooftop by and large speaks to around 40% of the visual outside of an average home and consequently assumes a vital part in its general feel. Most purchasers in the business sector for a home will dispose of from thought any home that does not have control claim for them. That is the reason four out of five private roofs in the United States today gloat delightful, moderate and dependable asphalt shingles. Amid that time, the industry has attempted to constantly enhance asphalt items through investigative research and propelled innovation. Over its 125-year-history, asphalt shingles have been fortified by cotton cloth, wood mash and paper. In the 1970’s, fiberglass was presented as a more grounded, more sturdy and more fireproof support material. Early shingles were covered with smashed slate or clam shells, and have advanced after some time to the splendidly hued fired covered granules that we see today. 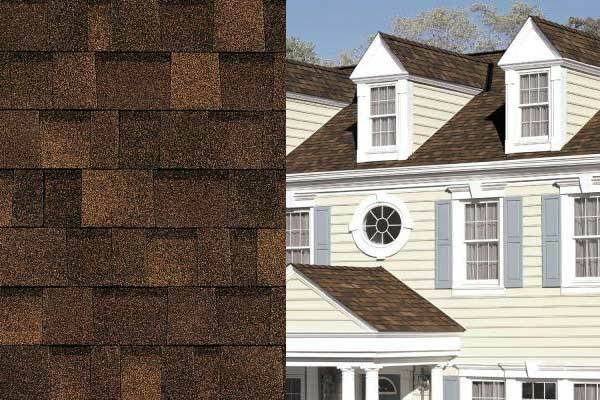 Advanced asphalt shingles arrive in an assortment of hues to coordinate the exceptional configuration of any home. This material is commonly limestone or fly-fiery remains altered tars, or polymer-adjusted bitumen. American Society of Civil Engineers ASTM D7158 is the standard most United States private construction regulations use as their wind resistance standard for most irregular, steep-slant rooftop covers (counting asphalt shingles) with the accompanying class evaluations: Class D – Passed at fundamental wind speeds up to and including 90 mph; Class G – Passed at essential wind speeds up to and including 120 mph; and Class H – Passed at essential wind speeds up to and including 150 mph. An added substance known as styrene-butadiene-styrene (SBS), now and again called adjusted or rubber treated asphalt, is here and there added to the asphalt blend to make shingles more impervious to warm breaking, and also more impervious to harm from hail sways. A few producers utilize a fabric backing known as a “scrim” on the rear of shingles to have them more effect safe. Most insurance agencies offer rebates to mortgage holders for utilizing Class 4 sway appraised shingles. Two sorts of base materials are utilized to make asphalt shingles: An in the past living natural base and fiberglass base. Both sorts are made in a comparative way with asphalt or altered asphalt connected to one or both sides of the asphalt-immersed base, secured with slate, schist, quartz, vitrified block, stone, or clay granules and the posterior treated with sand, powder or mica to keep the shingles from adhering to each other before use. The top surface granules square ultra-violet light which causes the shingles to disintegrate, gives some physical insurance of the asphalt and gives the shingles their shading. A few shingles have copper or different materials added to the surface to counteract green growth development. Self-fixing strips are standard on shingles to keep the shingles from being brushed off by high winds. 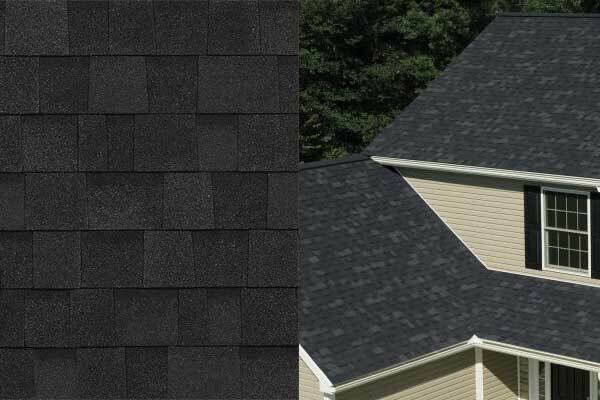 The principal asphalt shingles were pre-created, single-cut bits of material. Today’s shingles come in numerous organizations, from single-layer shingles without any set patterns to those with various set patterns, and from standard overlaid shingles of different thicknesses to the more current, open tab originator shingles. Cutting edge shingle plan advancements have been created to incorporate improving building styles that change a rooftop with a top of the line dimensional look. Through advances in assembling innovation, asphalt shingle items are presently more ecologically agreeable than any other time in recent memory. Modernized gear has enhanced roofing creation efficiencies, bringing about less material waste. Shingles from rooftop tear-offs can likewise be reused and used to clear streets crosswise over America. Sun oriented intelligent shingles are currently accessible and can decrease vitality use. Like any investment, your roof needs constant monitoring, a good contractor, and immediate adaptation should an issue arise. A roofing contractor know what to look for when it comes to roof repairs, but before you hire a pro, we wanted to go over five important factors all homeowners need to know. Another factor that can limit your options for shingle material is the construction method. Some shingles require sheathing on the roof deck, whereas others can be installed on a lath. Many shingles are installed over under material to prevent leaks, such as from intense rain or snow dams. Progresses in asphalt shingle innovation have prompted items that are more strong and defensive than any other time in recent memory. Cutting edge roofing frameworks incorporate various segments like break obstructions and ventilation to maintain a strategic distance from dampness infiltration from downpour and ice damming from snow. Innovative work have prompted shingles that meet the most elevated execution benchmarks for flame, wind and effect resistance. Through the business’ profound duty to research, advancement and consumer loyalty, asphalt roofing shingles keep on improving to address the issues of today’s mortgage holders. The asphalt roofing industry is devoted to keeping up the excellence, moderateness and dependability of North America’s most mainstream roofing material. For more data about asphalt roofing, visit weathertightidaho.com. Natural shingles are made with a base mat of once in the past living (natural) materials, for example, paper (waste paper), cellulose, wood fiber, or different materials soaked with asphalt to make it waterproof, then a top covering of cement asphalt is connected and clay granules are then installed. Natural shingles contain around 40% more asphalt for every square (100 sq ft.) than fiberglass shingles. The paper-based nature of “natural” shingles abandons them more inclined to flame harm, and their most elevated FM rating for flame is class “B”. Natural shingles are less fragile than fiberglass shingles in icy climate. The more established natural (wood and paper mash item) forms were exceptionally strong and difficult to tear, an essential property when considering wind elevate of shingles in substantial tempests. Likewise, some natural shingles created before the mid 1980s may contain asbestos. For mortgage holders, introducing another rooftop accomplishes more than change the look of a home; it secures their family and possessions. It does as such through a progression of rooftop parts that work together to shape a complete framework and expansion the execution of a rooftop. Asphalt shingles give the rule water-shedding surface and make the interesting look that separates your home from others on the square. Underlayment gives an additional layer of assurance between the wood deck and the shingles, going about as an auxiliary water boundary. More data on underlayment can be found here. Ice and water boundaries ensure the defenseless parts of a roof-, for example, valleys, around smokestacks and other rooftop protrusions- where water can stream. Asphalt shingles have changing qualities which help them survive wind, hail, or fire harm and staining. The American Society of Testing Materials (ASTM) has created particulars for rooftop shingles: ASTM D 225-86 (Asphalt Shingles (Organic Felt) Surfaced with Mineral Granules) and ASTM D3462-87 (Asphalt Shingles Made from Glass Felt and Surfaced with Mineral Granules), ASTM D3161, Standard Test Method for Wind-Resistance of Asphalt Shingles. 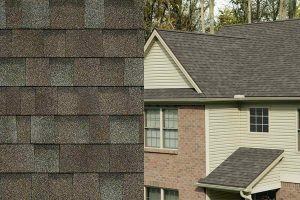 Numerous shapes and surfaces of asphalt shingles are accessible: 3 tab, plane, “signature cut”, Art-Loc, t-lock, tie lock, and so on. 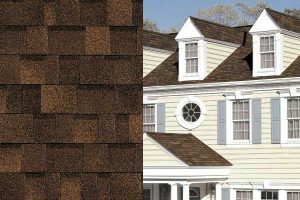 Structural (overlaid) shingles are a multi-layer, covered shingle which gives more fluctuated, molded visual impact to a rooftop surface and include more resistance for water. These shingles are intended to maintain a strategic distance from monotonous examples in the shingle appearance. 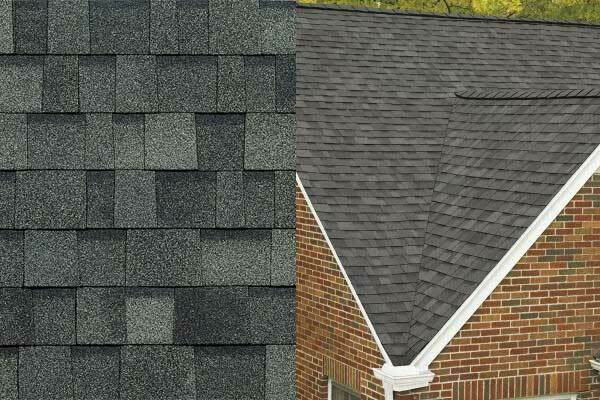 Uncommon shingles are required for the overhang starter course and edge tops. 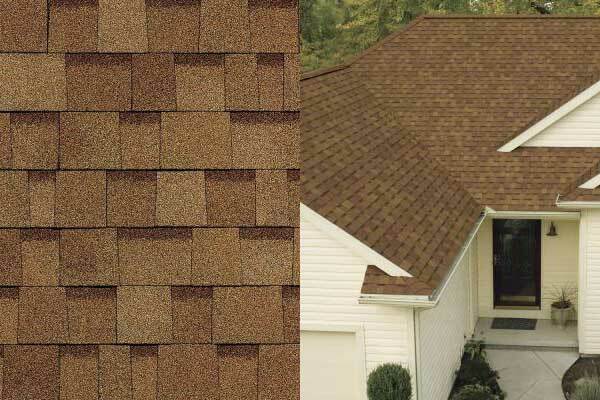 Overlaid shingles are heavier and more solid than conventional 3-tab shingle outlines. Starter strip items are basic for legitimate shingle establishment, and give the principal column of sealant expected to counteract shingle blow-offs and water infiltration. Hip and edge items supplement the asphalt shingles and give the completing stylish of the rooftop. An adjusted ventilation framework permits warmth and dampness to escape from the storage room. It likewise wipes out ice damming and untimely shingle crumbling by keeping the storage room temperature nearer to the outside temperature. More data on legitimate ventilation can be found here. The mix of these roofing framework parts gives repetition, solidness, and assortment in look, style and shading that is unmatched by aggressive advances. For more data about different asphalt roofing frameworks, converse with your installer or visit the private segment of the weathertightidaho site at www.weatghertightidaho.com. Sunlight based reflecting shingles decrease cooling costs in hot atmospheres by being a superior intelligent surface. Wind harm: Asphalt shingles come in shifting imperviousness to wind harm. Shingles with the most elevated clasp pull through resistance, bond quality of the self seal cement, appropriately nailed will oppose wind harm the best. Additional precautionary measures can be taken in high twist territories to affix a strong underlayment and/or seal the plywood creases in the occasion the shingles are blown off. UL 997 Wind Resistance of Prepared Roof Covering Materials class 1 is best Wind Resistance rooftop standard and ASTM D 3161 class F is best for bond quality. Hail harm: Hail tempests can harm asphalt shingles. For effect resistance UL 2218 Class 4 is ideal. This builds survivability from hail storms however the shingles turn out to be more helpless to hail harm with age. Private COOL ROOFING – in the United States, four out of five homes are secured with asphalt shingles. These shingles are delightful, reasonable and dependable, and are always increasing present expectations in ensuring your most significant resource. What is Cool Roofing? “Coolness” is measured by two properties, sun oriented reflectance (SR, or reflectivity) and warm emittance (emissivity), or a mix of the two, called the Solar Reflectance Index (SRI). Cool roofs can likewise be alluded to as “exceptionally intelligent roofs” and “high albedo roofs.” A cool rooftop reflects and transmits the sun’s warmth back to the sky instead of exchanging it to the working beneath. Locking shingles: Special asphalt shingles are intended to bolt together called tie lock or T lock. Toughness Shingle solidness is positioned by justified life, extending from 20 years to lifetime guarantees are accessible. However an expressed guarantee is not an assurance of strength. A shingle producer’s guarantee may star rate repair costs, spread materials just, have distinctive guarantee periods for various sorts of harm, and exchange to another proprietor. Shingles tend to last more where the climate stays reliable, either reliably warm, or reliably cool. Warm stun can harm shingles, when the surrounding temperature changes significantly inside a brief timeframe. 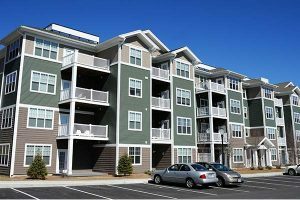 “Experiments…have noticed that the best reason for asphalt shingle maturing is warm stacking.” Over time the asphalt gets to be oxidized and gets to be fragile. Rooftop introduction and ventilation can augment the administration life of a rooftop by diminishing temperatures. Shingles ought not be connected when temperatures are beneath 10 °C (50 °F), as every shingle must seal to the layer underneath it to shape a solid structure. The fundamental uncovered asphalt must be mollified by daylight and warmth. A couple shingle sorts use discharge tape which must be expelled only before establishment. The defensive way of asphalt shingles essentially originates from the long-chain hydrocarbons impregnating the paper. After some time in the hot sun, the hydrocarbons mollify and when downpour falls the hydrocarbons are bit by bit washed out of the shingles and down onto the ground. Along overhang and complex rooflines more water is directed so in these ranges the misfortune happens all the more rapidly. In the long run the loss of the overwhelming oils causes the filaments to contract, uncovering the nail heads under the shingle folds. The shrinkage likewise separates the surface covering of sand held fast to the surface of the paper, and inevitably causes the paper to start to destroy itself. Once the nail heads are uncovered, water running down the rooftop can saturate the working around the nail shank, bringing about decaying of rooftop building materials and creating dampness harm to roofs and paint inside.